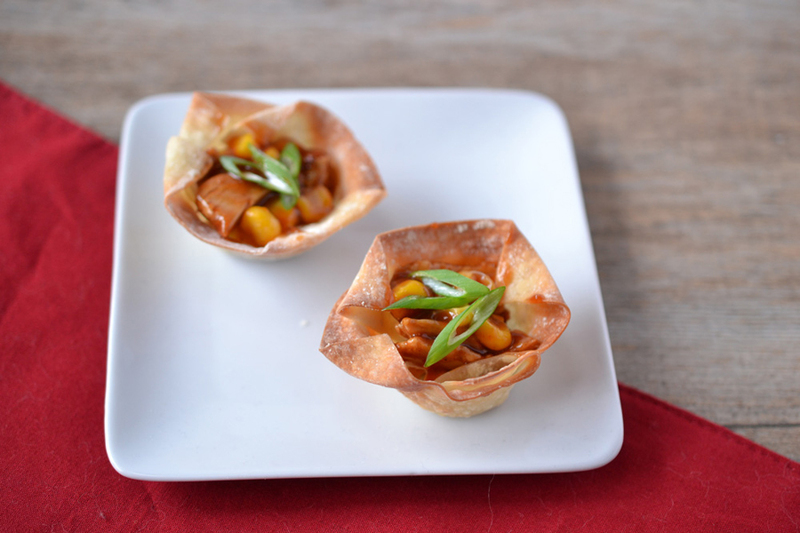 I’ve been experimenting a lot with baked wonton cups for party appetizers – they’re super easy to make and are highly versatile, filling-wise. First up in a series of wonton cup recipes are these guys, which combine lightly browned Beyond Meat (the best tasting chicken substitute ever), your favorite barbecue sauce and corn. They are extremely easy to make, so easy that a detailed recipe and quantities aren’t needed. Of all the types of wonton cups I’ve experimented with, these were gobbled up the fastest at parties. Who’d have thought that something this simple would be so popular? Thinly slice Beyond Meat horizontally (pieces will resemble small squares) and pan fry over medium heat with a bit of olive oil until lightly browned – this step is important as it removes Beyond Meat’s naturally starchy taste when raw. Mix Beyond Meat with your favorite barbecue sauce (preferably a good quality brand) and golden or white corn. As it’s not in season right now I used frozen corn (thaw/heat it ahead of time), which tastes fine. I’d imagine charred summer corn would be even better. As far as mix quantities, go with your personal preference. If you want a saucy filling, add more barbecue sauce. If you don’t want to use much Beyond Meat and need extra filler, go for extra corn. Beyond Meat is mostly a part of the dish for appearance and texture – it does best in an assertive, strong sauce like barbecue. If you aren’t able to get Beyond Meat, you could probably also use lightly browned tempeh bits as well, or possibly fake hamburger crumbles. I used approximately 4 ounces of Beyond Meat to make 2 batches of wonton cups. 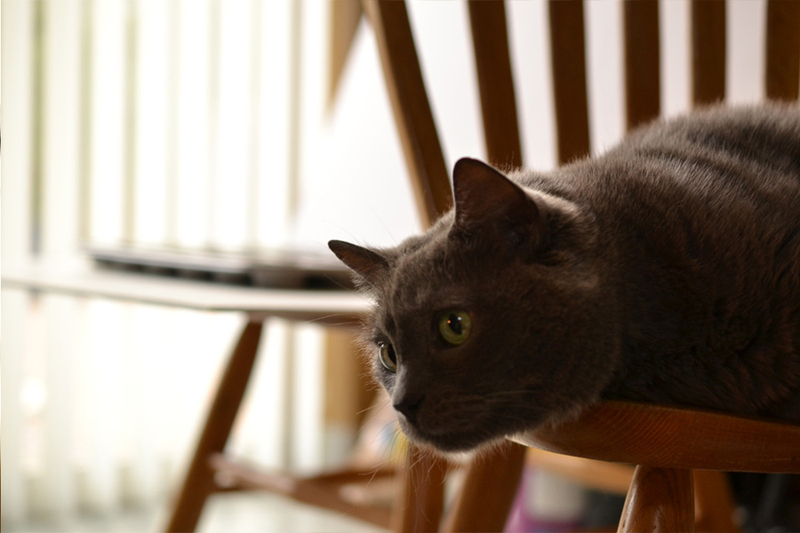 One of my cats, Shiori, beelines to the area whenever I’m doing a food photography shoot, and has an innate way of always getting in the way or lurking about somewhere nearby. I’ve come to a realization that this must mean she wants to be my sous-chef, so I’m going to start including pics at the bottom of any posts she photobombs. During this shoot, she was spazzing out on a nearby chair – the mini wonton cup tin is the photo subject on the other chair in the background.